Bitvavo - Where can I find my wallet address? All Categories ​>​ Deposit & Withdraw - Digital Currency ​>​ Where can I find my wallet address? Go to the digital currency from which you want to know the address and press on it. Go to ‘Deposit’, and consequently the address of your wallet is shown. 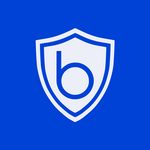 The address of your Bitvavo wallet of this one digital currency will be displayed. If you press on the button next to the address, it will automaticaly be copied. Be careful: because every digital currency has its own network, you need a different for every digital currency. For example, do not send Bitcoin to your Ethereum wallet, you risk losing your Bitcoin.